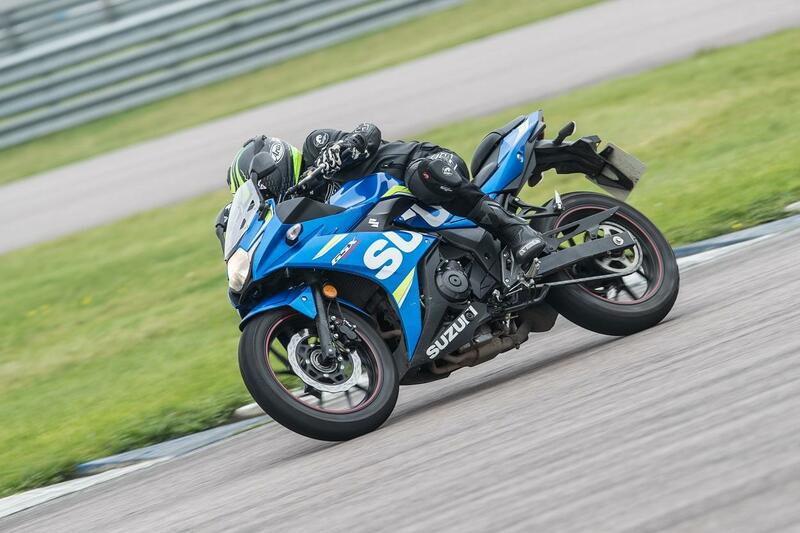 ﻿ MCN Fleet: Is the GSX250R any good on track? I’ve spent the majority of my time with Suzuki’s GSX250R exploring its surprising ability to cover big miles. However, although the A1 is mighty fun, when an opportunity came to take the 250 on track, I couldn’t resist. Due to the last-minute nature of my invitation, I had no time to prepare and so I went into the day with the bike dressed on its original, very-squared tyres. I simply filled up with fuel, folded the mirrors in and scuttled off down pit lane. 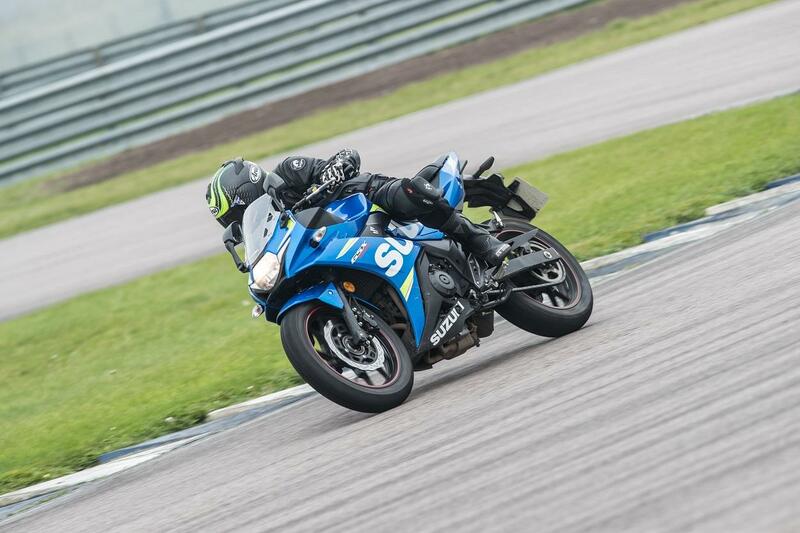 The location for my trackday was a damp, slippery Rockingham Motor Speedway, which was being used by the team for a recent two-stroke special feature. I was unsure of how the 250 would cope with the demands of such an open circuit; however I left with nothing but admiration. The nature of the day meant there was an open pit lane, with virtually no other bikes out on track. This meant I was free to explore the parameters of the 250 without the risk of holding anyone up, or getting in the way. After a few laps to warm the tyres and get a feel for the circuit, I began to get more comfortable with the bike and its behaviour on the damp tarmac. 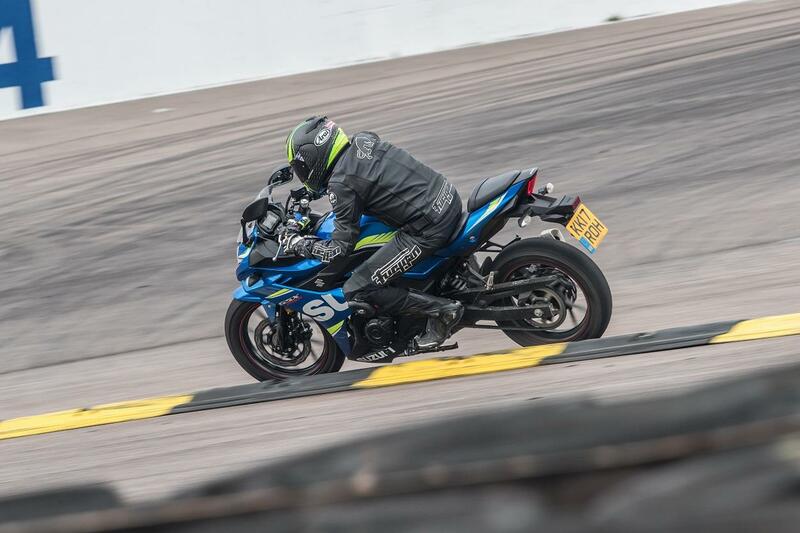 With each lap came slightly more throttle, later braking and added lean and soon I was having a brilliant time. Okay, I wasn’t going very fast, but riding on such an open circuit on such a small machine was incredibly involving and meant I could push the bike without fear of running out of talent on corner entry, or highsiding myself to the moon with too much throttle. With each turn came a bigger smile and, although I was getting demolished by everything else out there along the straights, I stayed out on the 250 for hours, only taking short breaks for refreshment. Despite being flat-out in top gear with one hand behind my back to grab those last few mph along Rockingham’s banked oval, having so little power also means that you have plenty of time to think your way around the circuit. This allows you to plan your lines more precisely and work out exactly where to get on and off the throttle for maximum efficiency. It’s the perfect way to learn track etiquette and race craft. On top of remaining fun and educational, it was also a very cheap day out. The Suzuki used just one bar of fuel on the gauge all day and as I pulled into pits for the last time, the dash was still reading a hugely impressive 71mpg.